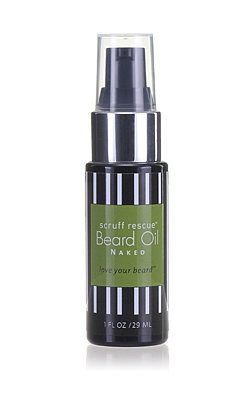 Scruff Rescue Naked Beard Oil is unscented and naturally nourishes, conditions and softens beards, moustaches and the underlying skin. 100% botanically based, silicone-free and packed with whisker-softening phytonutrients. Scruff Rescue Beard Oil Naked relieves the itchy scruffy side effects from starting stubble all they way to maintaining a perfect moustache, soul patch, goatee or full beard.